I left New York in October 2012 for several reasons. Circumstances lined up so that my employers and I mutually benefitted from me quitting my job of three years. I was applying to graduate programs in creative writing. But mostly I went home to get my own health under control. And that last reason bore a striking resemblance to what I learned while skimming a review of Molina’s final release, a soundtrack to a book by the artist Will Schaff called Autumn Bird Songs that was recorded well before its 2012 unveiling. The review I read linked to a note posted to his band Magnolia Electric Co.’s Tumblr page in which Molina wrote, “It has been a long hospital year.” He thanked fans and friends for their support and contributions to his medical fund (like many Americans and most independent musicians, Jason lacked insurance) and assured us that, “For the time being, I am doing well, still in recovery and still in treatment until probably summer does its thing.” When I saw that Google Alert on March 18, I so wanted it to tell me that Jason would get to see summer do its thing. I, too, had had something of my own hospital year. I’d struggled with chronic head pain since 2008; my migraines that turned into constant headaches probably started up just as Molina’s liver began slowing down. I didn’t have time to keep up with my favorite musicians (hence the Google Alerts, which mostly went unread); I was too busy running from pharmacy to pharmacy, from my wonderful primary care doctor to frustrating specialist after frustrating specialist trying to find a cure that didn’t exist. When my doctor and I had tried everything we knew to do and I finally agreed with him that the medication I’d been taking had only exacerbated the problem, I went home to get well, and I read Jason’s note. I don’t write fan letters, but I wrote a letter to Jason. I felt as though we had something in common. We both struggled with medical issues that overlapped with addiction issues. I knew from experience that no one understood what I was going through, and I wasn’t sure if anyone understood Molina’s situation either, especially given the uncertainties surrounding his news. I wanted him to know that his work meant a lot to me and that I wanted the best for him, whatever that meant. I wanted him to know that someone understood. I never got to send that letter. Jason died, and I ripped it up. I spent March 18 and the days that followed inordinately upset over the death of someone I’d known only through his music. The forty-plus full-length records, EPs, singles, live albums, solo projects, collaborations, and other recordings Molina released between 1996 and 2012 dwell in – maybe better, constitute – a singular and deeply special place in my guts, but my sorrow over his passing resides elsewhere, and I am still trying to find that place. In many ways, Molina’s music works as a geographic representation of an American soul, and listeners can easily arrange and interpret his lyrics to create maps of their own. In his nearly two-decade career, Jason developed a vocabulary that carries over across albums and traverses even the nominal boundary he set up between his two major projects. Ghosts, lightening, the human heart, the black and the blues, the devil, the crossroads, lonesome highways, deserts, trains, any number of beasts – owls, wolves, mules, crows, the black ram and the black hen – sickness, death, rare new dawns, and a near-constant moon haunt lyrics written under the Songs: Ohia and Magnolia Electric Co. monikers and appear in Jason’s solo work. “The moon, the heart, the owl. […] I don’t know exactly why these have become my familiars,” Molina has said. “I think of the moon as a home. The heart as a road. The owl as the bird that carries me on.” By utilizing these “familiars” – and many more exist – in his songs, Molina provides listeners with a guide for interpretation and allows them to watch as he attempts to solve the puzzle of his troubled psyche. 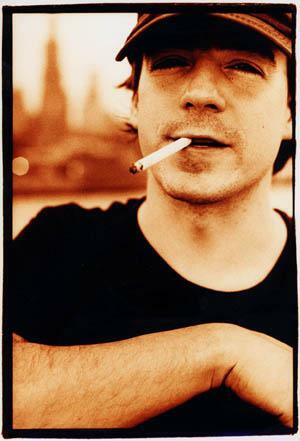 Molina began releasing albums as Songs: Ohia, of which he was the only stable member, with the release of the seven-inch record “Nor Cease Thou Never Now” on Will Oldham’s Palace Records in 1996. An eponymous full-length that fans call The Black Album followed in 1997 on Secretly Canadian, the label that would serve as Molina’s musical home for the rest of his life. Molina initially produced relatively straightforward folk records such as Impala (1998) and Axxess & Ace (1999), strumming his songs on the percussive tenor guitar he’d abandoned for a six-string electric by 2000’s The Lioness. That record and its early predecessors each showcase the controlled frenzy that marks Molina’s signature aesthetic. Though the singer-songwriter experimented with creepy percussion and swampy creaks on the slow, spare Ghost Tropic (2000), most consider 2002’s gospel-inflected Didn’t It Rain Molina’s first major musical departure – including Molina himself, who has said that Didn’t It Rain concludes the Songs: Ohia catalog. But Secretly Canadian continues to market the album that followed in 2003 – the considerably more rollicking, rock-and-roll-tinged Magnolia Electric Co. (produced by Steve Albini, who worked on several Magnolia Electric Co. releases and offers a remembrance here) – under the band name Songs: Ohia. If Didn’t It Rain shows Molina at a sonic crossroads, Magnolia Electric Co. (the album) documents the direction he chose. 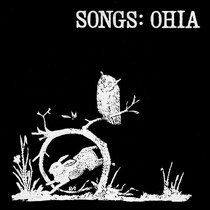 The record looks forward to the major stylistic differences that distinguish Songs: Ohia from Magnolia Electric Co. (the band), whose first official release was the live album Trials and Errors in 2003 (on which Molina whispers in a now-eerie rasp, “Watch the singer die,” before launching into a reworked version of the Songs: Ohia track “Ring the Bell”). However, while Magnolia Electric Co. albums such as What Comes After the Blues (2005), the four-disc boxset Sojourner (2007), and the band’s final record – the organ-infused Josephine (2009) – feature more up-tempo songs with brighter instrumentation and polished production values, Molina never abandoned his familiars. For example, otherworldly ringing bells feature prominently in Impala’s “Program and Disjunction” and in “Ring the Bell” and “Two Blue Lights” on Didn’t It Rain. Despite those three albums’ heterogeneous sounds, Josephine’s “Whip-Poor-Will” includes the lyric, “So all of you folks in heaven not too busy ringing the bell / some of us down here ain’t doing very well” – a line that stands among Molina’s more optimistic. Death by alcoholism-as-self-medication should in some ways surprise no one who listened closely to Molina’s lyrics, even though his words virtually never refer to intoxication (the only example I can think of is “One Thin Dime,” and that’s a cover of Blind Willie McTell’s “East St. Louis Blues”). He comes closest to acknowledging his addiction in song through references to an unnamed sickness on tracks such as “Everything Should Try Again” from his 2006 solo album Let Me Go, Let Me Go, Let Me Go, on which he asks, “Ever been tired? / Ever been a little sick? / Ever tried working through it?” and “Hammer Down,” first released on What Comes After the Blues with a more robust version re-recorded for Sojouner; the song features the line, “Sometimes I forget that I’ve always been sick / and I don’t have the will to keep fighting it.” In a passage from “North Star,” which appears on Trials and Errors and Sojourner, Molina sings, “I didn’t know how blue I’d get / I didn’t know how I’d get blamed for it / I didn’t choose to go down this road / No one chooses to be sick.” I kept that lyric close during my four years of constant pain as I faced judgment and doubts from friends and medical professionals. Molina’s lyrics, however, cover a lot of ground. Among his most important themes stand not only “the blues” but also space, geography, and place. 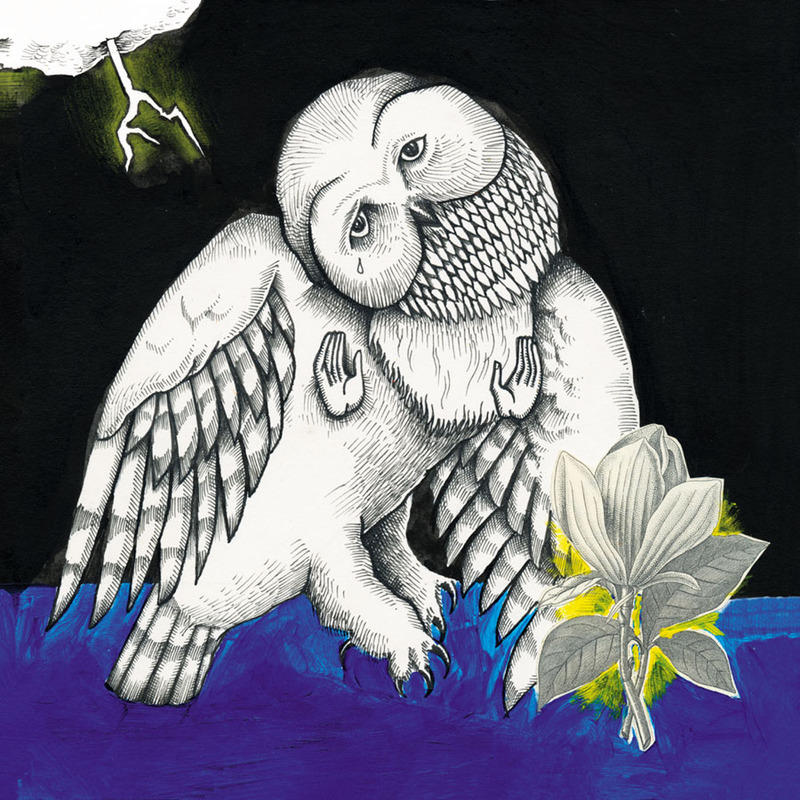 From Chicago and Indianapolis to the B&O Railroad, the Midwest makes frequent appearances in both Songs: Ohia and Magnolia Electric Co. lyrics. In an interview with the author Justin Taylor, Molina affirms the writer’s sense that Josephine is “grounded in the South” and tells him that the titles to many of the songs on his first full-length reference Appalachian place names. In addition, Molina points to so many unreal or general spaces – the crossroads, the highway, the dark, the horizon – that one cannot listen to his music without feeling simultaneously transported and grounded. So it makes sense that when Will Schaff, who has done artwork for Molina’s albums and whose book From Blacksheep Boys to Bill Collectors the 10″ record Autumn Bird Songs accompanies, wanted to help his musician friend get better, the visual artist drew him a map that references places, utilizes much of the imagery, and quotes several lyrics found in Jason’s songs to guide him in his recovery. Unfortunately, the map never reached Molina, who was by all reports difficult to locate near the end of his life. But when I saw a small version of that map on March 29, I felt closer to understanding why Jason’s death has so severely impacted me. Will Schaff’s map for Molina. The line on the moon’s banner comes from the song “Blue Chicago Moon” on Didn’t It Rain. 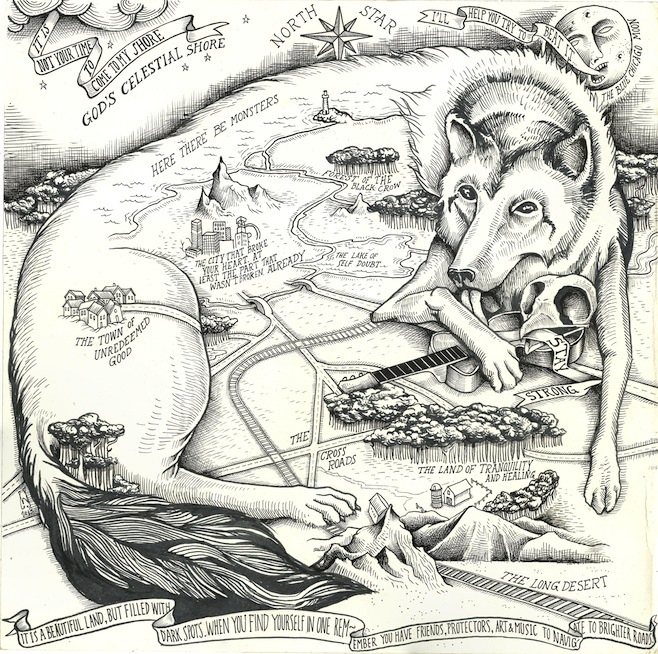 The caption “The city that broke your heart…” is a reference to the Magnolia Electric Co. song “Leave the City.” Nearly every image or phrase on the map relates to one of Molina’s familiars or song lyrics. A hand-numbered and signed screen print version of the map will arrive in my mailbox around April 23 as part of the two-disc tribute album Graveface Records releases that day. The project, Weary Engine Blues (named for the painting by Molina that adorns its front), features covers by Jason’s friends and collaborators including Will Johnson, Mark Kozelek of Red House Painters and Sun Kil Moon, Scout Niblett (a stunning solo artist in her own right who in addition to backing vocals sang “Peoria Lunch Box Blues” on Magnolia Electric Co. after releasing a joint seven-inch with Molina in 2001), Will Oldham, and Alasdair Roberts (a frequent player on Molina’s records, Roberts also recorded a joint seven-inch with him in 2000 and joined Molina and Oldham to make the album The Amalgamated Sons of Rest in 2002). Proceeds from the project, a digital version of which is already available, will go to Jason’s relatives to assist them in the payment of his medical bills, but I’ll get at least as much out of it as will the Molina family. But Schaff’s map – attuned as it is to his friend’s familiars – doesn’t assume that brighter roads will last forever or that recovery is a linear process. The map indicates no starting point, requires that its navigator pass monsters and death’s heads on his way to “tranquility and healing,” and acknowledges the crossroads at which the traveler could take perilous turns. Maybe that’s in part why Molina’s death has so intensely affected me: what if I don’t make it out, either? I don’t even know what “out” looks like for me because my situation doesn’t conform to the narratives we tell ourselves about addiction and dependence. Schaff’s pictures don’t illustrate an “out,” but maybe that’s helpful. Maybe Molina was right when he said that “no one makes it out.” Maybe we’re all just wandering around our own maps that are littered with familiars we can’t escape. In a recent New Yorker article, Ben Greenman writes that he feels in part “that the world should have taken better care of Molina.” Somehow, Greenman equates “better care” with Molina’s music being “broadly embraced,” but I don’t think that’s what “better care” would have entailed. “Better care” would certainly have entailed better medical care, including more appropriate and affordable (if we can’t have free) addiction treatment. Clearly, Jason’s friends, family, record label, and fans did all they could to take better care of him. But no amount of care by friends and loved ones can close the gaps that exist between their good intentions and our for-profit medical system, which employs addiction discourses that simply don’t work for everyone. I think Will Schaff stumbled onto something special when he drew a map that employed Molina’s familiars to show him the same way out that my doctor in New York offered to me – no judgment, no labels, and full support if I wanted to turn back; Schaff did what he could to let Molina know, as my doctor let me know, that someone understood. We need better maps for addiction and recovery, and understanding is a good place from which those maps should start. Schaff has made exactly such a map, and I hope he’ll take some very small consolation in seeing the piece he created to save his friend help others navigate to the brighter roads he wanted for Jason. Our thoughts here at Points go out to the Molina family, to all of Jason’s friends, and to his fans. Consider a donation to the Molina medical fund.